Video is a powerful resource in healthcare, particularly in communications and training. When done well, it delivers clear, consistent, high quality messaging which can be easily shared online or through your intranet. Good communications can help to improve health outcomes, reducing the burden people might place on the health system. Video can also deliver significant bottom line savings, particularly in training, through savings in travel time, expenses and lost productivity. Commissioning video isn’t hard, but here are a few tips to help make the process as effective and efficient as possible. This may seem obvious, but you need a video to deliver a result. All too often people think the video is the finished product, but you really should define your project outcome in terms of improved health outcomes, training goals or efficiency savings. This will allow you to measure the result effectively to ensure continual improvement. This is probably the most important consideration after your required outcome. Healthcare has hugely diverse potential audiences. The way you engage with those audiences may differ hugely depending upon whether you are communicating with the public, clinicians or a whole variety of other stakeholders and interested parties. Considering what your audience already knows, what you want them to know or do differently, where they will watch, what interests them, what they are likely to be sceptical about are all considerations in defining your audience. 3. Budget – what’s it worth? Setting a budget can be tricky. It’s not necessarily about how little or how much a film costs, but placing a value on the result that will be delivered and making sure the video costs less than the value it will generate. You may choose to define that by how many people the video reached, or if training objectives were met, any feedback from audiences and if possible any tangible results. A decent production company should be checking that their films do offer value, and looking at ways to get the most out of their clients’ investment. That might be suggesting ways to use material in different ways on different platforms, offering advice on how best to distribute material and ensuring your video remains up to date. So make sure you ask the production company to demonstrate how they ensure their videos offer value for their clients, rather than asking how much they cost. Once you know what you want a video to do and who your audience is, write a fantastic brief. Time invested in a good brief will pay significant dividends as the project progresses. Include any additional campaign information, brand guidelines and, if you’re able, an indication of the value the project might deliver to ensure you only get proposals that will provide a return on investment. 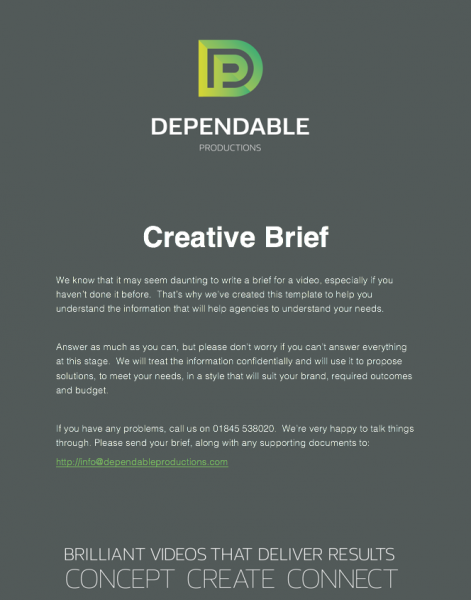 You can download our video briefing document and read more about how to write a great brief here. It’s worth considering styles and approaches that you think might work and any you feel will not and include this information in your brief. However, try to keep an open mind to give agencies the flexibility to propose a variety of different approaches. Your organisation will almost certainly have procurement rules, probably based on anticipated budget, which dictate whether you have to go to a small number of companies for a quote or whether you need to put the project out through a formal tender process. Each approach has benefits and pitfalls. Quoting is generally a quicker process and, given that you decide who you want to quote for the work, you can limit the number of proposals you will need to review. However, you will limit the number of ideas you will get to consider. Tendering means you need to conform to processes designed to ensure fairness. If you put a project out to public tender, you might get hundreds of responses which you should consider equally. You will need a system of measuring the quality of responses to reach a decision about your chosen supplier. Without setting qualification criteria, you may get responses from wholly inappropriate suppliers which will need due consideration and administration time. Defining your evaluation criteria helps agencies understand more about the drivers in your project so they can tailor their proposals to better meet your needs. Previous experience, demonstrating an understanding the subject, creative approach, proposed schedule and budget are all common criteria. However, unpicking budgets is often a cause for delays in decision making. There is no standard formula for a production budget so drilling down into budget detail can result in you trying to compare apples with pears. 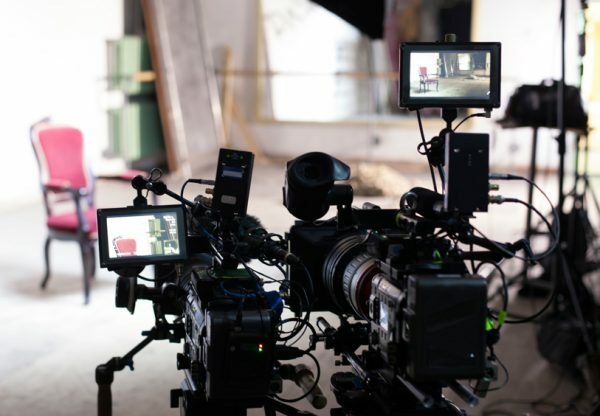 One company may consider a “camera crew” to be Camera Operator, Director, Sound Recordist, Broadcast Camera, lighting, sound equipment and transport. Whereas another company may consider a Camera Crew to be the camera operator and their handy camera only. Neither is right or wrong, but it can make comparing like for like very difficult. Therefore, if you want to compare rates, choose roles which are more easily comparable such as Producer day rate, or Editor day rate. You may also find that one company is more expensive, but offering a more comprehensive solution with the potential to deliver a greater return on investment. You should view cost in terms of potential value rather than pure bottom line – although there will clearly always be a bottom line limit. Choosing a company is often a subjective decision. You’ll want to consider whether the company has healthcare experience which means they can speak your language and understand the complexities of filming in clinical settings. Look at examples of their work. Most videos are bespoke – so it’s very unlikely you’ll find a company who’ve made exactly the film you want. What you’re really looking for is films that looks good, that you’d be proud to see representing your business or organisation and that shows the film maker understood their brief. You should also look for a range of treatments within their portfolio that showcase interesting and creative work. Production companies spend huge amounts of time on proposals. Always be prepared to offer detailed feedback as it can be really valuable to the agencies that were not awarded the contract. The production process generally involves a pre-production phase when all scripting, planning, casting, location sourcing are done in advance of any filming. Pre-production is probably the most important phase in any production as it’s when you define and thoroughly specify the finished product. Once that’s signed off, production will begin which is when all the material needed for the project is filmed, in accordance with the pre-production planning. Once the material is filmed, post-production begins when the material is edited, music and graphics are added and a rough cut will be made available for review. There will then be an amendment process to get to the finished video or videos. The final stage is delivering the videos to your audience. To deliver the intended result, and be able to measure it, you need a clear strategic approach to delivery based on either your own network of contacts or from an agency that can help you connect the content to your chosen audience. Sometimes this is very easy or systems already exist. But it’s a part of the process you will overlook at your peril as you will have no way of knowing whether your project has been effective. Involving patients can be a very powerful tool in video but it needs to be done carefully, fairly and in a structured way which records consent. Most hospital trusts have policies about filming patients which vary from a requirement for consent to, in one case we know of, a blanket ban on filming any patient on trust property. 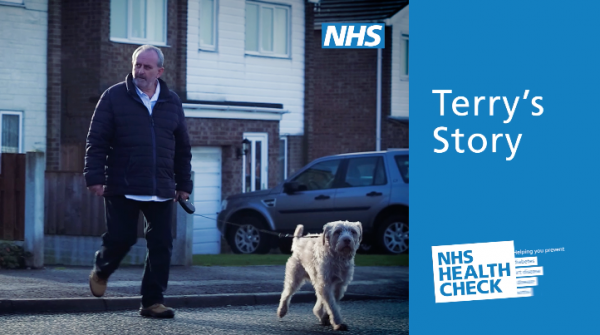 Where trusts provide flexibility, we consider the potential impact of including patients in the background of shots or in cutaways. Given the public nature of hospitals, it’s highly unlikely that seeing a shot of somebody walking normally in a hospital corridor would cause harm, distress or be considered to invade their privacy. However, a shot of somebody sitting in a waiting room, clearly outside an oncology department could imply a condition that the patient would not wish to share with friends, family or employers. Therefore consent, or re-framing the shot, is crucial. The headline is that it’s generally perfectly feasible to film in a hospital, or other clinical settings, while respecting a patients right to privacy. You would be wise to specify that the Intellectual Property (IP) of any material filmed through the delivery of the project be transferred to you to enable re-use in future projects. 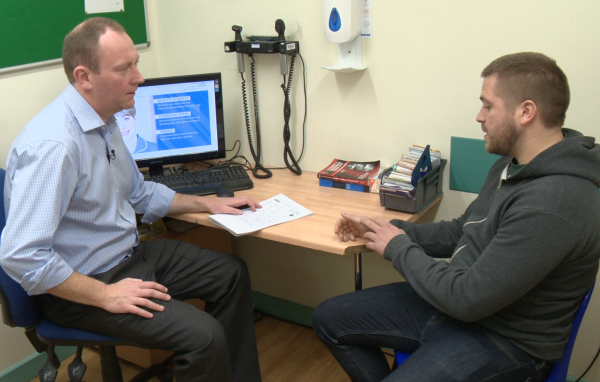 It’s increasingly rare that healthcare videos are made purely for an English speaking audience. Will you need subtitles or dubbing and if so, into which languages? Deciding this in advance can influence both the creative approach and how your budget is spent. You may already have networks which will allow you to connect your content with your audience. However, where you don’t, you need to consider how you will deliver it to them. It’s now possible, through social media pay per click campaigns, to create highly targeted, measurable campaigns. Once your video is doing its job, set a deadline to measure progress and be prepared to adjust your campaign to reflect any issues the review raises. Richard Critchlow is Creative Director at Dependable Productions and has been making healthcare videos since 2006 for clients including NHS England, Public Health England, Health Education England, Hospital Trusts and a number of commercial organisations including pharmaceuticals and IT suppliers. The Dependable team has a strong editorial background based on decades of BBC production experience and are motived to create brilliant videos that deliver results. See some of our healthcare case studies here.